How to make 2-3 people roasted baby vegetable salad with croutons? 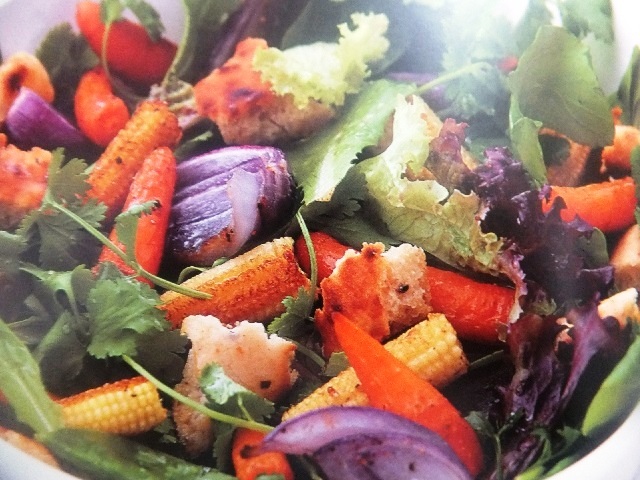 Roasted baby vegetable salad with croutons recipes and ingredient shared on our page. 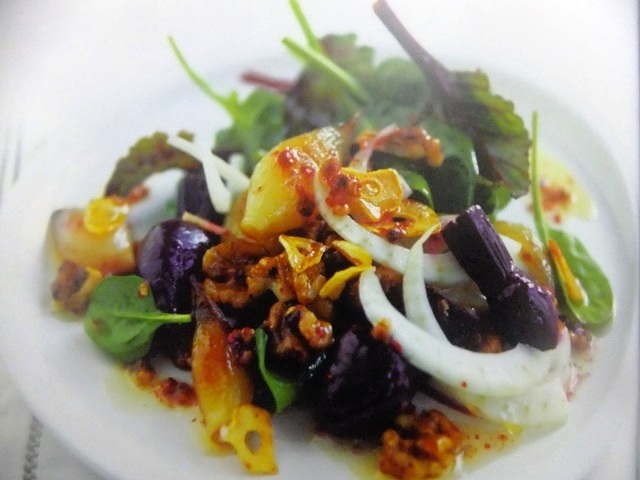 For roasted baby vegetable salad with croutons first preheat the oven to 220°C (Fan 200°C), gas 7. Put the red onion wedges into a roasting tin. Add the carrots and sweetcorn (halve them if they are quite large), Drizzle with 2 tbsp olive oil, season and toss together. Roast for 20 minutes, turning halfway, until just tender. Tear the garlic and rosemary flatbread into chunky croutons, add these to the vegetables then toss together. Roast for a further 8-10 minutes, until the vegetables are lightly charred and the croutons crisp. Meanwhile, whisk together the remaining 4 tbsp olive oil, the red wine vinegar and some seasoning. Put the herb leaf salad into a large serving bowl, along with the reserved mangetout. 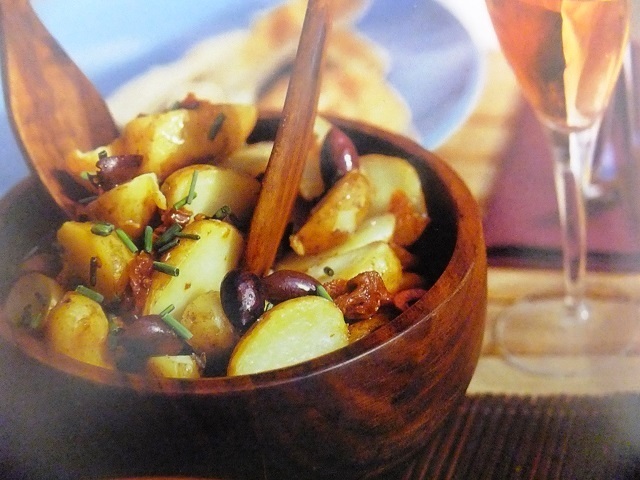 Add the roasted vegetables and croutons, drizzle with the dressing and gently toss together. divide between bowls to serve. Anymore ready, roasted baby vegetable salad with croutons! Your enjoy meal!